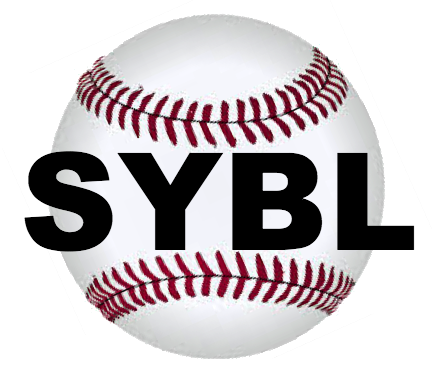 SYBL - Click here to Register! TODAY'S EVALUATIONS CANCELLED-FIELDS CLOSED Rescheduled for the 27th. Teams will be picked on the 30th(Minors and Majors) and 1st(Seniors) First practices on the 4th of May. Any questions, contact Steve Baker 216-978-2680 Registration is still open for all leagues!!! S.Y.B.L. organizes 3 House Leagues, by grade. Evaluations take place in April, practices start around the first of May and games begin the week after Memorial Day. The season finishes around the end of July. Evaluations-Minors(Lomond Field) & Majors(Mercer Field), April 27th - 1 p.m. to 3 p.m. Player need only choose one day and one time to show up. Seniors(Byron Field) April 27th - 1p.m. to 2 p.m. The draft for all teams will take place the week of April 29th and the first practices will occur on Saturday May 4th.